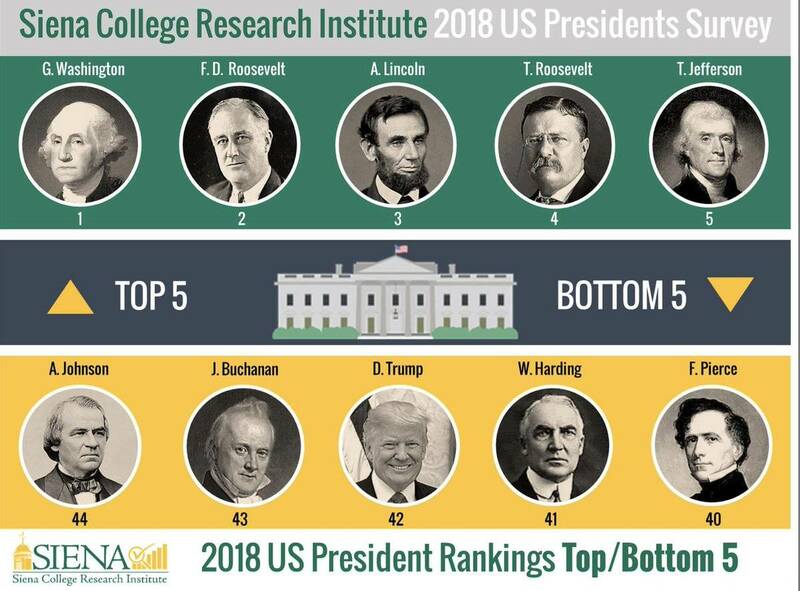 While this does not address where Obama falls in the views of historians, it is quite clear where Fat ■■■■ Donald lands; BOTTOM 5!!! I agree they are being a little hasty, as Fat Donald could still sink lower. I think that one of those top five should be switched with Trump. By the way, wasn’t it Abraham Lincoln’s Birthday yesterday? Equality for all American Citizens! It’s still hard to imagine Trump going lower than Nixon and Bush-II. How is Donald Trump fat? I’m guessing that’s just a hateful slurr made up about him? I hope that Trump will be not great president either. The country does not need another Lincoln. Rest easy on this one, Bill. Keepin the dream alive, I see. see, i think it’s funny that a bunch of americans can’t see that Obama isn’t the worst president in the last 6 years. history won’t be kind to the tweeting teen currently in the White House playing golf, sleeping and watching TV. Trump supporters are the best at knowing what Democrats do and want. And they’ll be glad to tell you. Worse than Franklin Pierce? Ouch. Then why did we have to pass an amendment to allow women to vote? Freedom for select citizens! Yay! hell, we eventually had to pass an amendment because our founders allowed human trafficking to continue. that’s certainly not equality for all. Democrats love to proclaim free healthcare and free education. The cornerstone of socialism is selling people that what government offers is free. When government runs out of other peoples money, the con game is up. First, everyone knows healthcare would be paid via taxes so it is not free. Second, most first-world countries around the world have govt funded healthcare. Why haven’t they “run out”? So many backing Cortez? How many? How? Is this one of those oops moments? lol. Freed the Slaves. And you were comparing Trump to Abe, and saying that if Trump was like Abe that would be a bad thing? hahaha. *** are you talking about!? Why should i as a tax payer pay for someoneelses health care? Why can i not have a tax exempt health savings account for myself and pay into it as i need? Obama was terrible but there have been worse presidents. Vote for people that think like you and we’ll see how it goes. There are plenty of things I disagree with in govt.